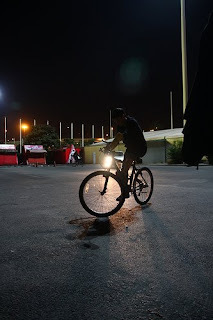 shanghai bike polo: more games : this wednesday !! more games : this wednesday !! first of all : big-ups to stephen for taking some SWEET photos last wednesday!! you can check them out on the flickr group. we will be holding more games this wednesday, the 6th, so come on out and enjoy the beautiful shanghai bike polo nightlife !! when's the next event ? enjoy the weekend with us !! may 16th, 2009 !! games for this week ! !